Home health health news healthy noodles See What Happens Inside Your Body When You Eat Ramen Noodles! See What Happens Inside Your Body When You Eat Ramen Noodles! Ever though what happens when you eat ramen noodles? This story may make you think twice before downing a bowl of processed Ramen Noodles. A video showing what happens inside the digestive tract after eating Ramen Noodles has gone viral. 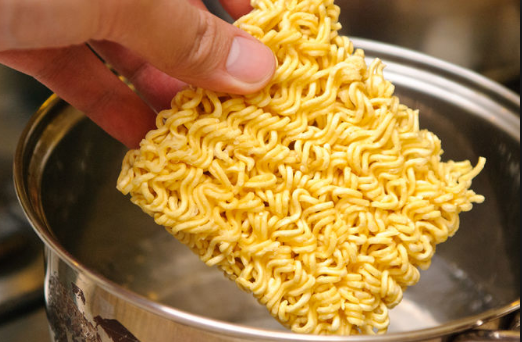 Ramen noodles contain Tertiary-butyl hydroquinone (TBHQ), which is a byproduct of the petroleum industry and food additive frequently to preserve cheap processed foods. A gastrointestinal specialist conducted an experiment with a time lapse video inside the stomach, comparing both fresh and preserved ramen noodles. After two hours of digestion, the results were staggering.